Charlie was one of the co-founders of the Alliance in 1997 (then, Community Conservation Coalition for the Sauk Prairie). 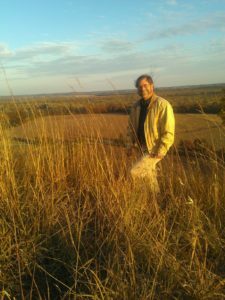 He has served as executive director of three regional/statewide conservation organizations (Aldo Leopold Foundation, Wisconsin Wetlands Association & Natural Resources Foundation of Wisconsin) during the period 1995-2012. Charlie was hired by the Alliance as a consultant in 2015 to help build the organization, and was hired in January 2016 as the Alliance’s first part-time director.